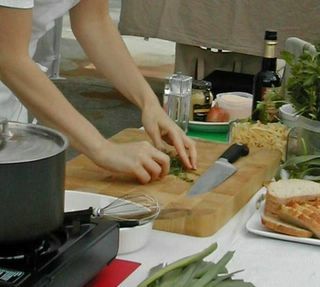 Once Upon A Feast - Every Kitchen Tells Its Stories: Presto Pasta Nights - Opening Night. Presto Pasta Nights - Opening Night. So glad you all decided to join me for Presto Pasta Nights. Frankly, I was holding my breath and hoping I'd get more than just my own pasta dishes. This week, we only had 8 entries - all fabulous, by the way. Then again, it is just the first time out. I'm looking forward to huge round ups of fabulous pasta dishes...and remember...pasta just means NOODLES - of every imaginable shape and size, served hot or cold, creating dishes from different cultures, because after all, everyone seems to claim pasta as their own. 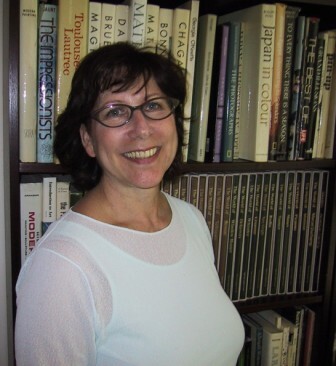 But enough blabbing...on to the wonderful contributors for this week's fun. First one to join the party this week was Cyndi of Cookin' with Cyndi. She made this baked 4 cheese delight and I'm still drooling! 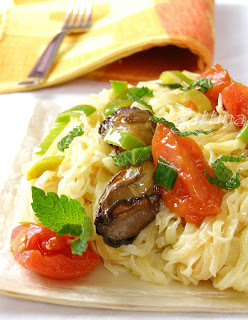 Gattina over at Kitchen Unplugged outdid herself with this homemade linguini with oysters and mint. How spectacular is that?! Sher at What Did You Eat? 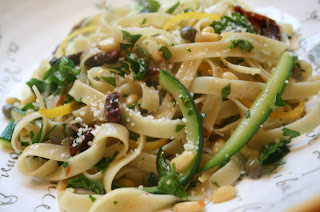 came up with this simple (and simply delicious) linguine with zucchini, lemons, capers and herbs to make us forget wintry weather and remember Spring is just around the corner for many of us. I say this in the middle of a freezing rain/snow/sleet storm outside my window, ever hopeful and definitely in need of Spring. 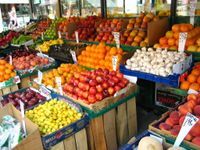 Anh of Food Lover's Journey is celebrating the beginning of Autumn down in Melbourne Australia. As much as Fall is one of my favorite seasons, I'm glad it's behind us here in Canada. 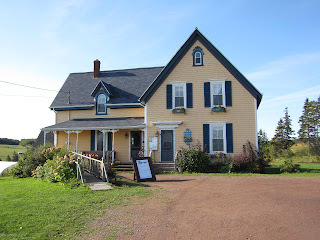 It's blizzardy outside and I'm really looking forward to Spring. 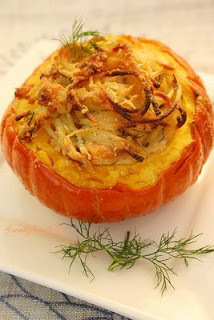 That said I can't wait to try this innovative, heavenly Creamy Smoked Salmon Spaghetti Baked in Golden Squash. Martha Stewart, eat your heart out. 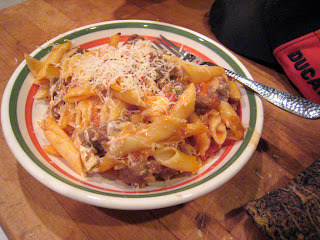 S'kat of S'kat and the food amazingly didn't make pasta this week, but she graciously shared an awesome baked ziti, perfect comfort food, that she made a couple of weeks ago and promises something new for next week's Presto Pasta Night - I can't wait! 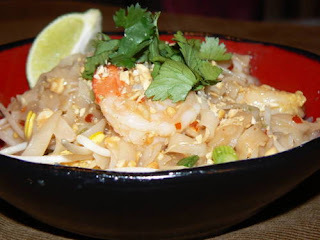 Alisha over at Cook Craft Enjoy decided to whip up one of her favorite pasta dishes, even though she'd never made it before - Pad Thai. Brave girl! It looks awesome and sounds great too. 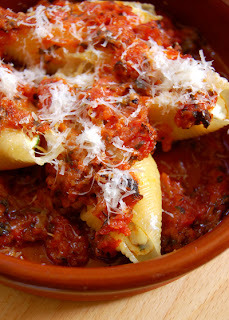 Haalo, over at Cook (almost) Anything At Least Once, (I love visiting her site) shared this delicious Conchiglioni Ripieni/Stuffed Conchiglioni. It's one of my favorite ways to serve baked pasta and frankly, if I had giant pasta shells on hand I would have used them for my own pasta dish. So now it's my turn to share. I tried to make my own pasta for this crab, ricotta & spinach cannelloni. 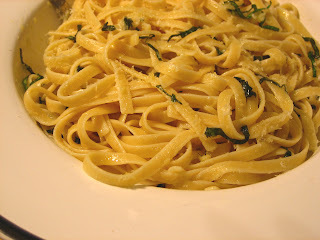 You'll have to read the post to find out why I also ended up making my old comfort food standby...fettuccini with olive oil, garlic and basil. Hooray, pasta nights, pasta nights! We're having porchetta this evening, but DucCat knows we need to hump it up in the pasta department this week. btw- it's that time, I need some mo' of yo' cookbook cds! Shoot me an email so I can share the love. Thanks for dropping by, the fabulous ziti, and soooooooo glad you need more cookbook cds. I'll be contacting you. 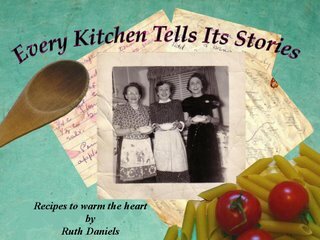 For anyone else out there wanting to buy my Every Kitchen Tells Its Stories -recipes to warm the heart, can buy right from this site. Just click on the cover in the right column. Hey!! This was a great start! Thanks for starting this! A wonderful display of the versatility of pasta! Just lovely - thanks Ruth! Thanks Ruth, it's a very beautiful round-up! Ladies, thanks so much for participating. It IS a great start, and I'm already looking forward to next week's entries. All delicious meals! Thanks for putting this together, Ruth! Scott - there's always next week! 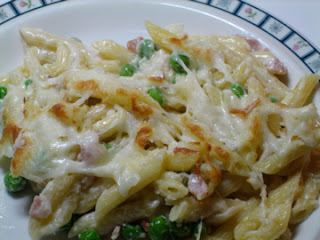 I just learned about Presto Pasta Night. What a fun concept! I mean, who doesn't love pasta? These dishes are just scrumptious! I look forward to participating and to future round-ups. This sounds like fun! I will have to join in soon!